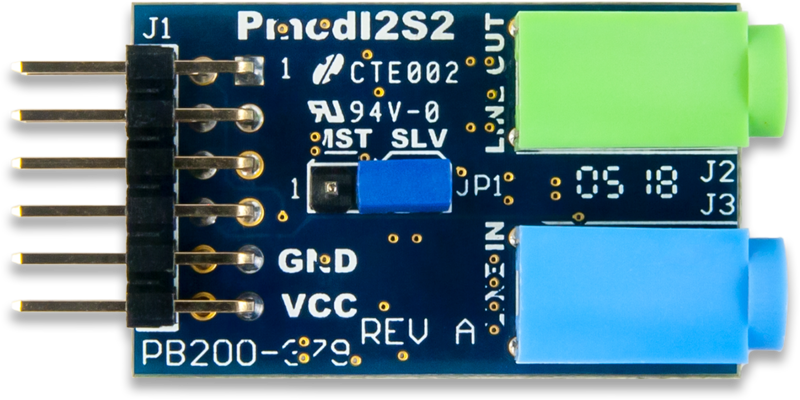 The Digilent Pmod I2S2 (Revision A) features a Cirrus CS5343 Multi-Bit Audio A/D Converter and a Cirrus CS4344 Stereo D/A Converter, each connected to one of two audio jacks. 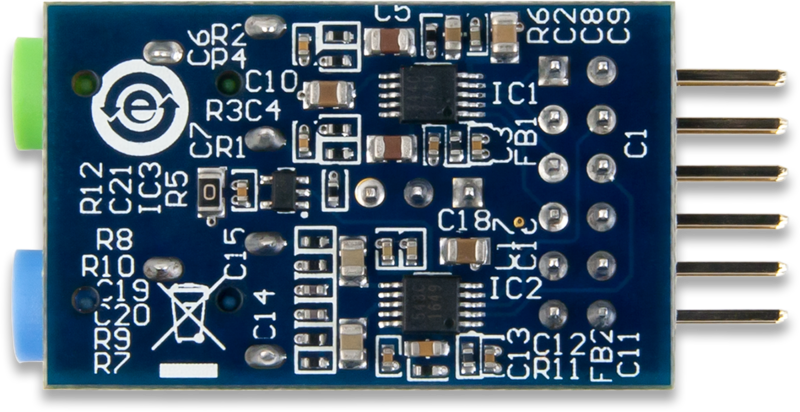 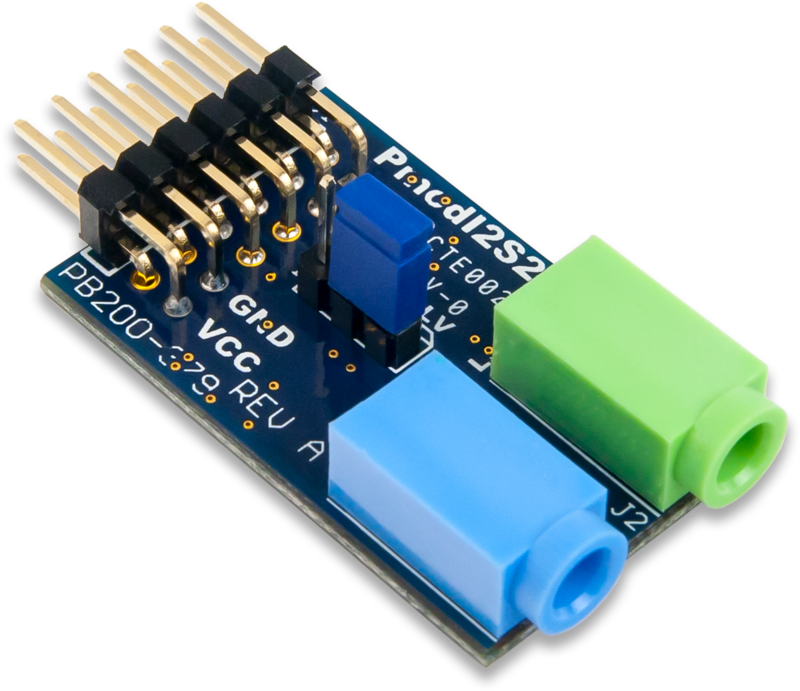 These circuits allow a system board to transmit and receive stereo audio signals via the I2S protocol. 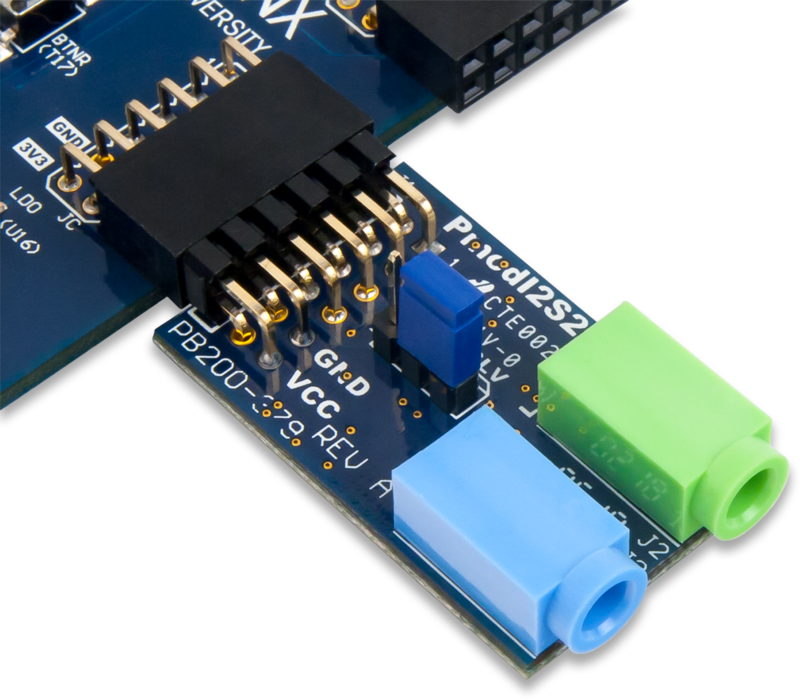 The Pmod I2S2 supports 24 bit resolution per channel at input sample rates up to 108 kHz and output sample rates up to 200 kHz.